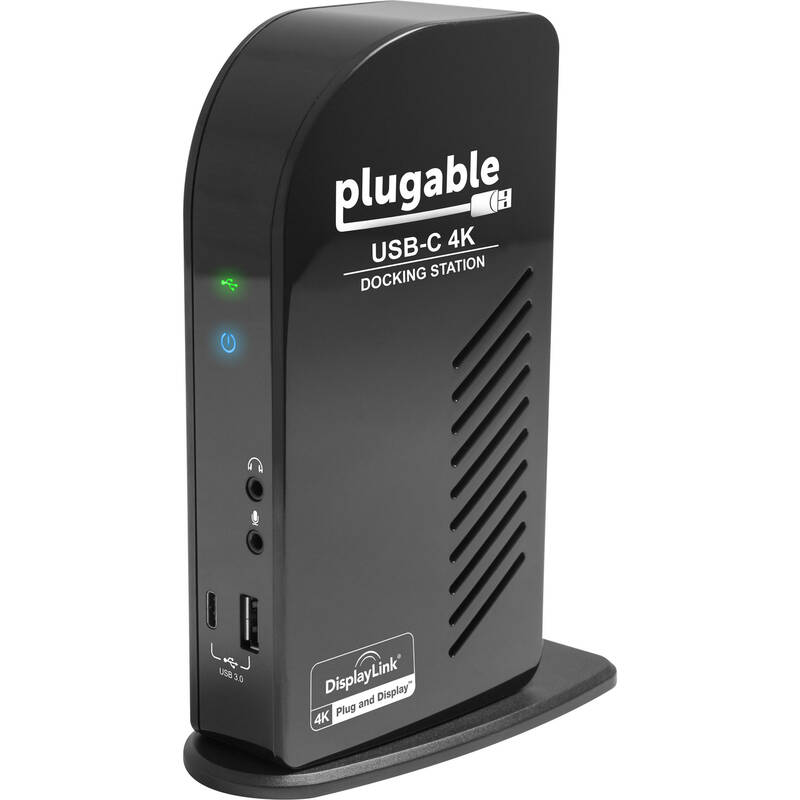 With the USB Type-C Triple 4K Display Docking Station from Plugable you can plug in a variety of monitors to your computer as it comes equipped with HDMI and DisplayPort connectivity. In addition to versatile display connectivity options, this dock also features USB 3.0 Type-A and Type-C ports capable of delivering up to 1.5A of power to charge your USB compatible devices. If that's not enough you can even connect to a local area network via the built-in Gigabit Ethernet port. This Triple 4K Display Docking Station comes compatible with both Windows and Mac systems and includes a dedicated power supply. This dock supports touchscreens that do not require drivers and use the host's operating system's built-in USB Human Interface drivers (HID) to record touch inputs can be made to work with our products, but Plugable does not provide support for doing so due to the complexity of multi-monitor touchscreen setups. Box Dimensions (LxWxH) 8.6 x 5.9 x 5.55"